Once you start web scraping, you begin to appreciate all the little things that browsers do for us. By using web scraping, you can whip up a compelling data passing solution in no time. Many know of its existence, but few know the details. Do you how you can learn web scraping techniques? This article will show you to do so. Learning how to write a web scraping program will significantly up your game to a resourceful online marketer. Web scraping is helpful to most developers as an art and in science also. Imagine taking all of these pages and turning them into structured data then pick out the pieces you like and export to all database or spreadsheet! Therefore, by web scraping, you extract data from website using a computer program that acts as a web browser. The program requests pages from web servers the same way the web browser does and it may even stimulate user logging in to obtain a spreadsheet or a database which is known as web scraping. It is a developer of computer vision and machine learning public APIs and algorithms for extracting data for extracting data from web scraping. It uses computer learning and vision to automatically obtain data from web pages by interpreting pages visually as a human being. This is an offline web browser that can be used to open source web crawler for free.it allows users to download wide web sites from the internet and arranges the original site relative link-structure. .There are terms and conditions applied when web scraping. It is advisable to read about the legal use of data as the data you scrap should not be used for commercial purposes. Make sure to revisit your site and rewrite your code as needed since the layout of a website may change from time to time. Do not be too aggressive requesting data from the website as this may break it. Seeking one webpage per second is good. There are several resources that you can use to learn about web scraping. Your choice deeply depends on the programming language you are well conversant with. The main thing when it comes to web scraping is to parse structured or unstructured HTML into structured data. Most of the programming language can do that for you. With that information, you first need to know the programming language you will use then take up the task of search resources to that language to accomplish the task. It is important to choose a language you are conversant with to prevent learning curves. The most popular languages for web scraping are Python, Java, Ruby, PHP among others. After deciding on the programming language to use, you can get started with the best web scraping books to begin with. Also, you can get to watch some of the best web scraping tutorials that can help you with the programming language. For example, Python has the below tutorials. 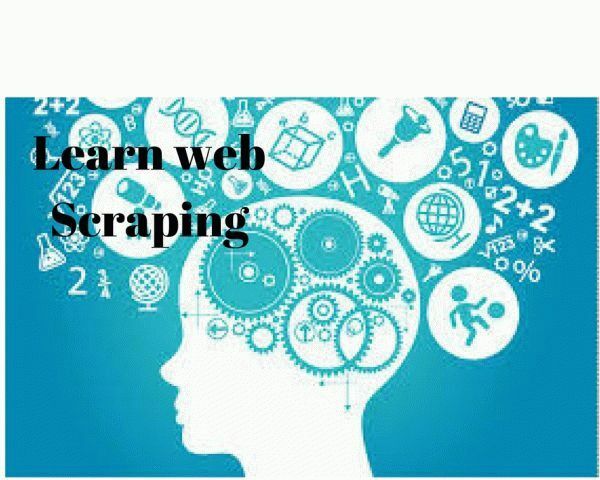 Web scraping forums are also great places to learn web scraping in details. Here people answer and ask questions on problems they currently face when web scraping.